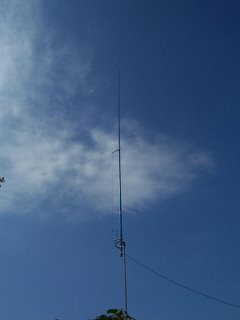 Questa è la foto dell’antenna usata per il beacon. This is the photo of 10m j-pole for the beacon. That is a nice antenna.Good job. Thanks Jimmy for visiting to my site! It’s quite easy to build this antenna with a fishing rod; as soon as possible I’ll write a page with technical datas for homebuilders.